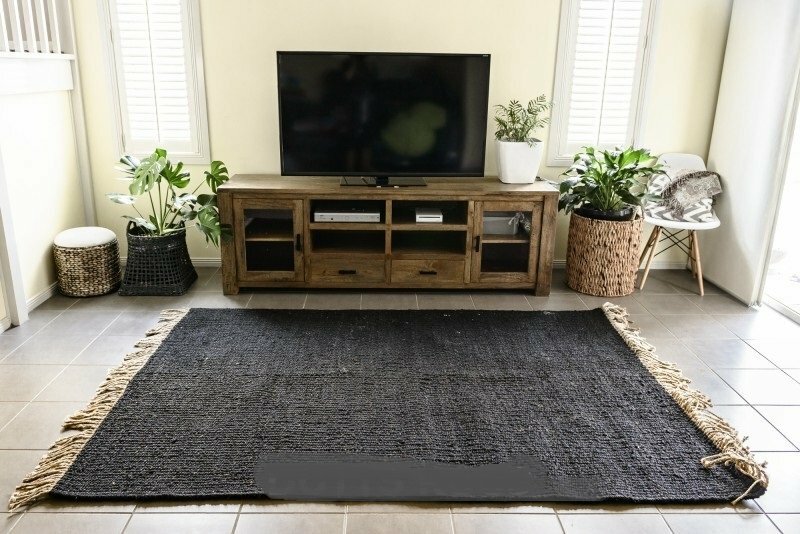 Hemp fibre rugs are increasing in popularity due mainly to the fibres exceptional environmentally friendly qualities and its durability. 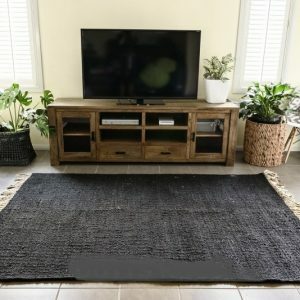 This stunning Fringed Hemp Rug in Solid Black is suitable for high traffic areas as the all natural fibre will actually become stronger and softer with use. 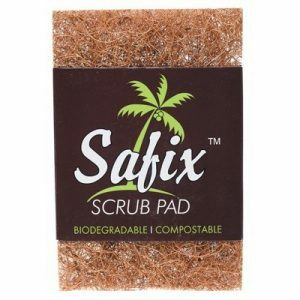 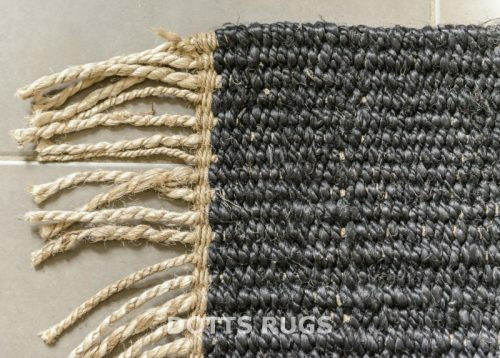 The amazing attributes of Hemp are only recently becoming more well known and make it the ideal fibre for use in rugs. Hemp fibre is the longest and strongest of all natural plant fibres, so strong it can last for many years. 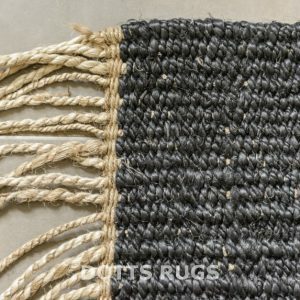 It is also resistant to rot, which is why it was used for rope on sailing vessels for many years, and also why it can be used in wet areas or outdoors! 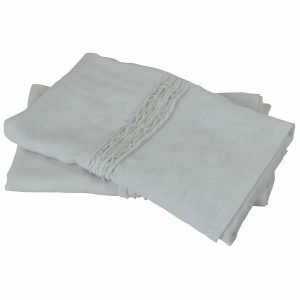 The fibre also makes a great natural insulator thanks to its hollow core, perfect for those long winters. 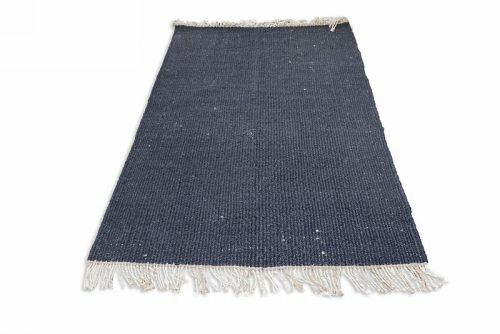 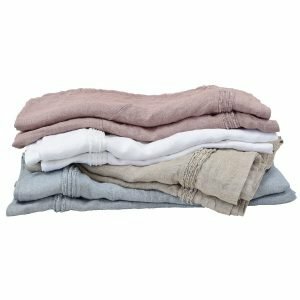 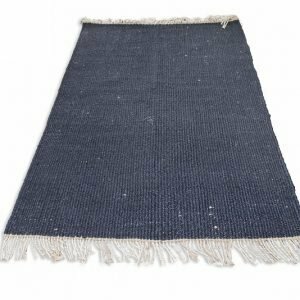 Hand woven in India from pure unprocessed Hemp and dyed with organic vegetable dye, combined with no need for pesticides to grow and low water usage for high yield, this hemp rug is a truly environmentally responsible addition to any home. 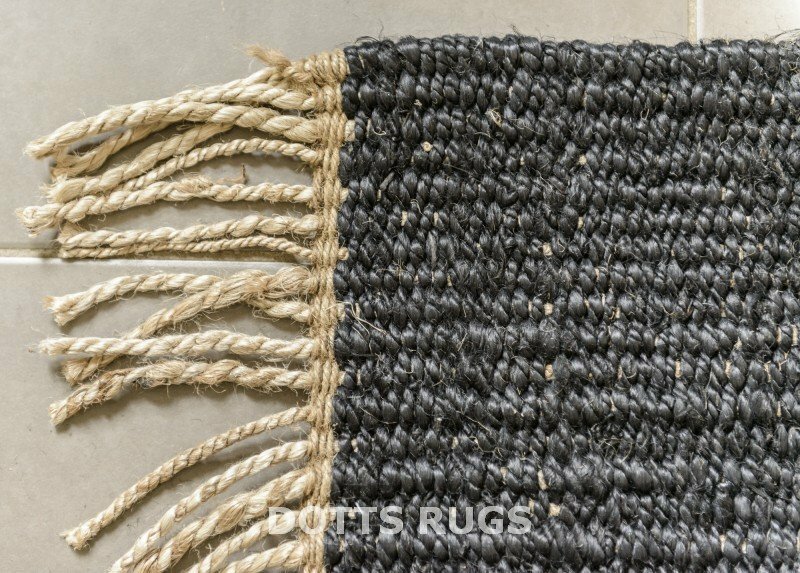 Love the idea of natural Hemp fibres in your house? 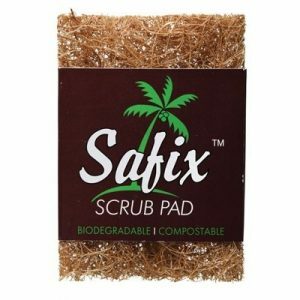 Check out the rest of our luxurious hemp product range here.